An effective traffic management strategy includes rules on where and how long employees and visitors to your premises can park. Vehicles inconsiderately parked can cause accidents, restrict access, impede pedestrian safety and prevent other vehicles from moving freely. Use parking restriction signs to manage the parking on your premises and safeguard the well-being and convenience of everyone on the site. Traffic is one of the most serious hazards on work sites. It is the responsibility of employers to take steps to reduce this. Parking restriction signs will improve safety and allow for an efficient traffic management system. 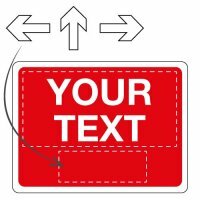 For more information on where and when to use parking restriction signs and how they can be a vital part of your traffic management system, check out our buying guide below. Parking restriction signs are necessary to ensure traffic systems on a work site run smoothly. Poorly parked vehicles are a nuisance and can create danger, particularly if they impede access by emergency services. Our parking restriction signs clearly mark areas where parking is prohibited or limited. Wherever emergency access is required and traffic is likely to be heavy, parking restriction signs will be particularly valuable for increasing safety and efficiency. There is a choice of parking restriction signs. The selection of parking restriction signs at Seton is designed to cope with challenging conditions such as adverse weather, thereby providing durable information that will always be easy to see. All signs are made from reflective materials for increased visibility at night and other times with minimal light. The wide range of parking restriction signs at Seton will meet most situations, but all circumstances are different. If you are unable to find the sign you need, take advantage of our custom sign service to create a solution that will suit your requirements exactly. 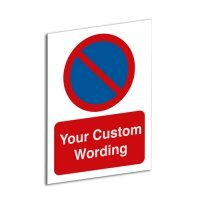 To securely fix your parking restriction signs, we supply a selection of sign holders and fixings, so they will remain secure and clearly display the relevant information. Parking restriction signs are an important part of a traffic management strategy. Make traffic flow smoothly at your workplace by using parking restriction signs in conjunction with our parking bay signs and car park signs to guide visitors to areas where they are permitted to park. Creating an effective traffic management scheme to reduce the risk of accidents around your premises is vital to comply with workplace health and safety rules. Parking restrictions are an important element of this. Seton are one of the UK’s leading supplies of workplace safety signs. Shop with us for complete peace of mind when choosing health and safety products. All our safety products, including parking restriction signs, comply with relevant EU and UK safety rules. Good traffic management on your premises not only prevents accidents, it also allows traffic to move as efficiently as possible, increasing convenience and saving valuable time. Parking restriction signs are an important part of this strategy, reducing inconvenience and the hazards created by badly parked vehicles. The effective use of traffic signs will reassure everyone on your premises that their safety is your top priority.